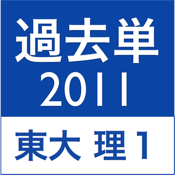 You can study 200 English words from the entrance examination of Tokyo University. If your answer is correct, a chime will ring. But if not, you will hear a buzzer. This app is mainly made for Japanese students who wish to enter the university.